Prabitra Mallick (the person in the picture) is 36 years old, father of 3 months old baby boy. 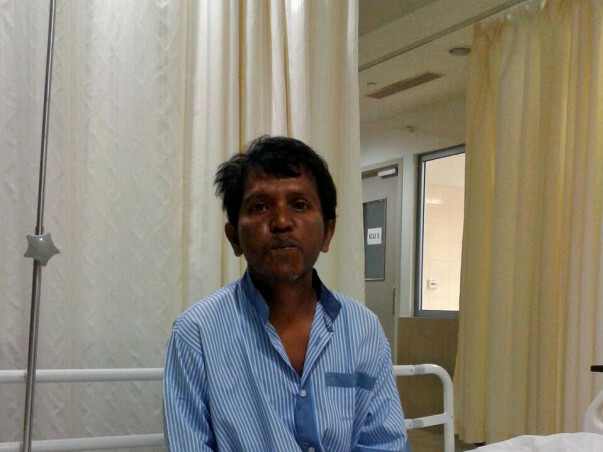 1 year back, he complained of stomach pain that was severe and persistent. 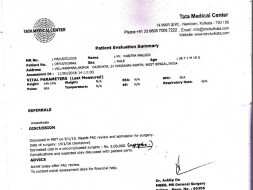 He then underwent a series of diagnostic tests - blood tests, sonography, CT Scan, Biopsy and more. Finally, cancer has detected and he was referred to a multi-specialty hospital for surgery. 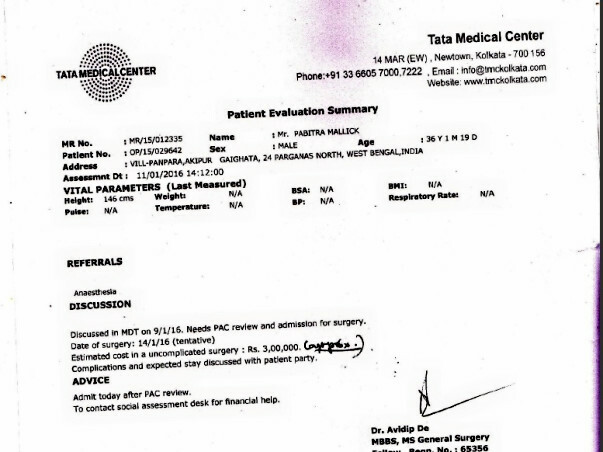 The cost of surgery is approximately Rs 3,00,000 and after that there are post hospitalization charges. The family has already spent Rs 70,000 for diagnosis and in Chemotherapy by keeping mortgage of their small property they possess, taking help from friends and raising fund from locality. They do not have health insurance of any kind. Pabitra Mallick is a farmer, earning a meagre Rs 5,000 each month, a private hospital and the expenses of surgery are out of reach. 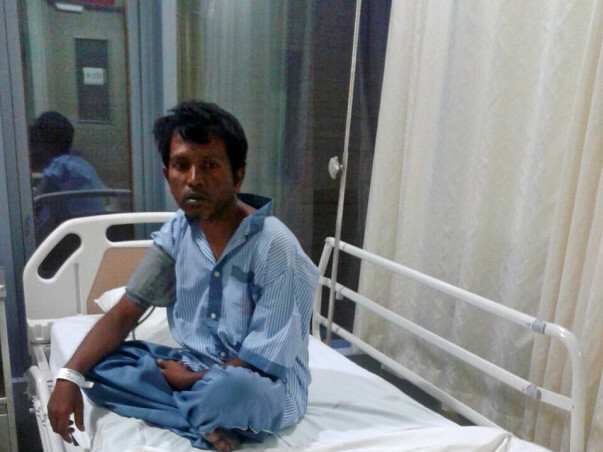 Pabitra’s surgery was successful and he responded well to his post-surgery treatment. Unfortunately, he was unable to bear the follow-up costs for his treatment after two months. He has currently refused further treatment due to shortage of funds. His health was stable after the surgery in March and he looked forward to spending time with his family. He remains very grateful for the support given to him for his surgery. Pabitra's surgery is done on 8th Feb. It was a major operation. Doctor has desected a part of his liver, daudenum along with the tumor. First two days he suffered from severe pain. Now he is quite well. Thanks a lot to all of you for your kind support. It was not possible without your help. Thank you to all of you from the bottom of my heart. 31+k has been raised.. Still long way to go. Please do share.